A good sleeping aid for babies and children. 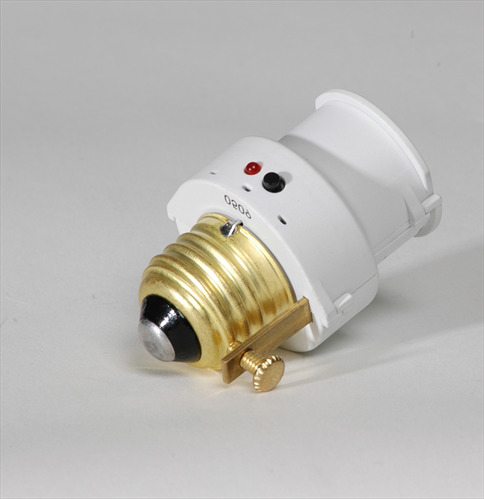 Converts ordinary lamp into a touch dimmer lamp. Provides 3 levels of brightness with each successive touch. Push the black button when going to sleep and lamp will automatically turn off in about 30-minutes. Gradually dims from high, medium to soft low brightness and can help quiet a baby. Excellent to use by anybody but especially elderly when reading and going to sleep. 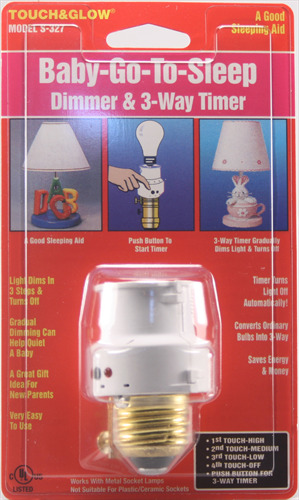 No more lamp burning all night ... it automatically turns off.